Below are sample search engine ranking results from our website for the search term search engine optimization. Above results taken on June 18th 2008. 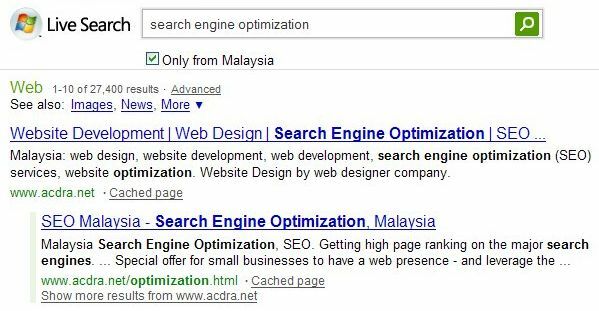 Search engine rankings can change over time. We have many top rankings for our own as well as our customer sites.